Our trips are memorable, and so are our travelers. The unique bonds formed while traveling are unlike any other, and the lifelong friendships that are forged between strangers who share a common connection make us proud. 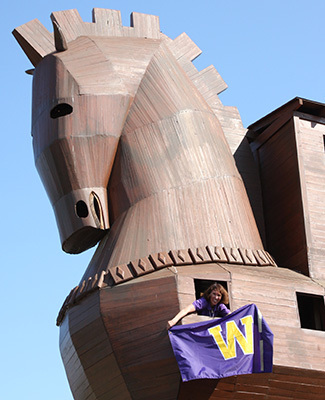 For your next journey, choose UW Alumni Tours for an inspiring location and be boundless with us. Our tour operators specialize in educational travel. Most trips feature destination-specific lectures by local experts, UW faculty or faculty from a partner university. You’ll return knowing that you really learned from your travel. Do more and worry less. Our small-group trips make sure that you have the best experience possible in the most expedient and cost-effective way. We manage the transportation, lodging and itinerary so you make the most of your time and investment. Our trips are not limited to UW graduates: Family members and friends are always welcome. Single travelers, too, frequently book with us. More than half of our travelers have toured with us before—our community is just that, a friendly environment for new experiences and bridging cultures. We take extra care to ensure that our accommodations and transportation are of the highest quality and professionalism. Passion never rests. We’re continually seeking new ways to enhance our tours. Many now include assisted audio devices that enable you to hear guides from up to 30 feet away! Have a suggestion? We’d love to hear that. How to reserve a spot.